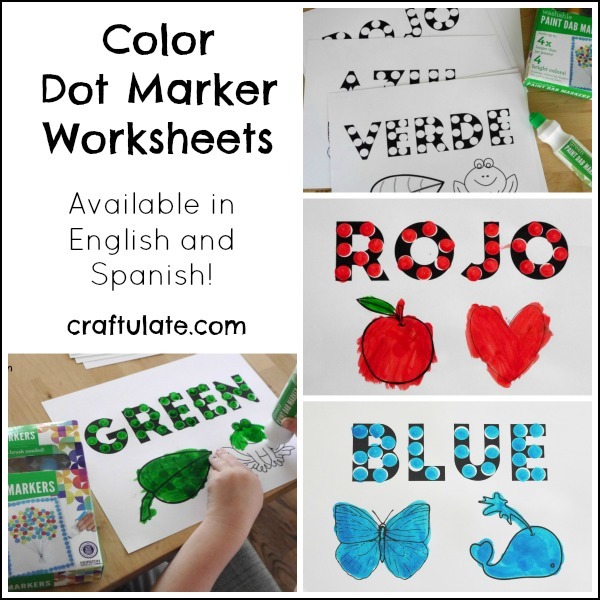 These fun color dot marker worksheets are available in both English and Spanish! My son continues to learn Spanish at school and I’m starting to get left behind as it isn’t a language I have ever learnt! 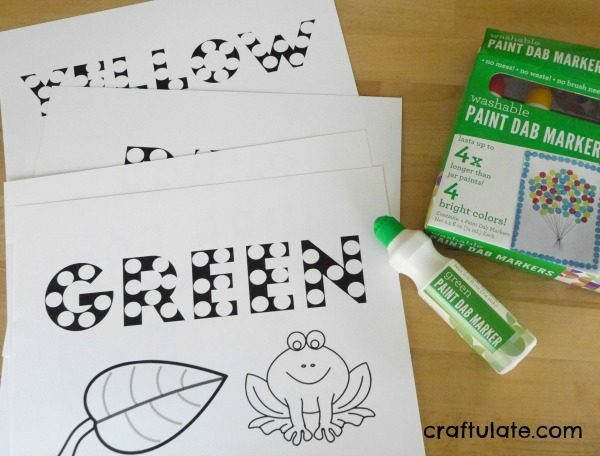 I love developing his interest in the language, so when I received these dab markers from craftprojectideas.com, I just knew what I wanted to make: some dot marker worksheets in both languages! 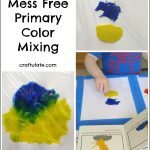 I decided to make sets of six worksheets in each language, using primary and secondary colors. I added two pictures to color in at the bottom of each page too. I printed them onto white card because my son can be a bit heavy handed and go through paper! The dab markers made a smaller circle than ones we have previously used – it was all very neat! My son started working on the English versions but soon switched to the Spanish. The dab markers come in a set of four: red, yellow, blue and green. 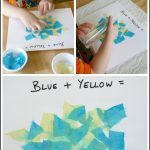 So with the orange and purple worksheets we got creative and blended the colors! Dotting everything yellow then covering with red made a nice deep orange. The red plus blue came out pretty dark, but was definitely a shade of purple! 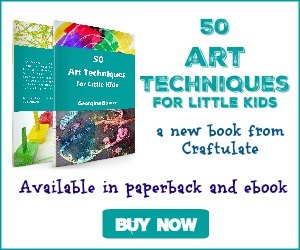 Download your worksheets from the Craftulate Store today – which version will YOUR child want to do first?